Injecting Quality Into Everything We Do. Our full-service manufacturing solutions include design, engineering, mold making, production– including insert molding, over-molding and encapsulation of components— value-added assembly, inventory management and distribution. A sampling of parts we mold includes gears, bushings, bobbins, lamp sockets, knobs, wire harness components, fuse components, vacuum cleaner parts, computer connectors, stereo speaker frames and current-carrying devices, as well as cosmetic-critical components and close-tolerance precision parts. We are a registered recipient of both ISO 9001:2008 and ISO/TS 16949:2009 quality certifications and an Underwriters Laboratory (UL) registered molder with material lot trace capabilities. We have established long-standing relationships with customers, including Tier I and Tier II automotive manufacturers and industry-leading companies such as Power Products, Lexmark International, Eaton, Electrolux Home Care, Emerson, Harman Becker, CommScope, and NIDEC. Strategically located in El Paso, Texas, our close proximity to Mexico enables us to provide flexible, efficient and cost-effective just-in-time (JIT) delivery to multinational companies and contract manufacturers who operate maquiladoras. 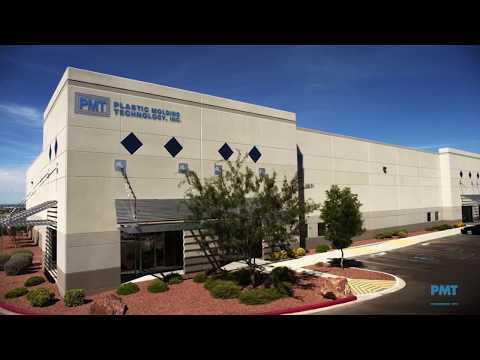 We operate in a modern, 60,000-square-foot manufacturing center, which houses engineering, production, warehousing and support activities, including mold repair, a quality laboratory and administrative functions. Our manufacturing infrastructure includes 56 horizontal presses, ranging from 45 tons to 500 tons, and seven insert molding machines, ranging from 40 tons to 150 tons.